A hero or not a hero? That is the question that haunts Hellboy throughout his entire existence. Why am I here if I am not a hero? Why am I alive? 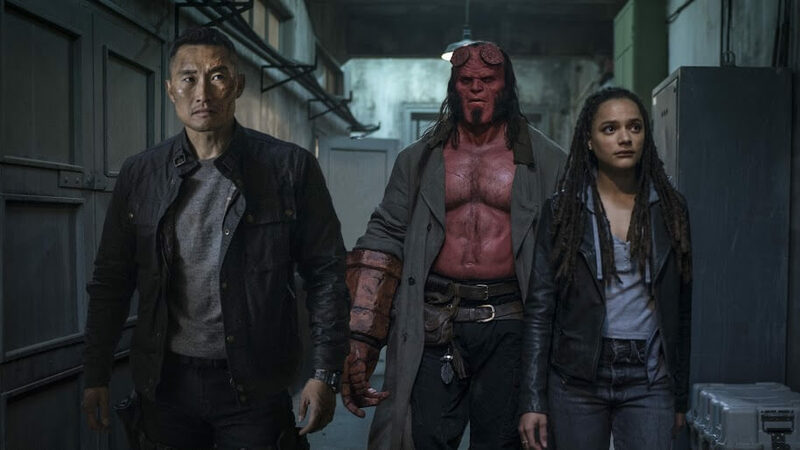 David Harbour’s performance as Hellboy well deserves four out of five stars as do most of the other actors in the movie. But with a poorly executed film, this movie does not receive the same rating as a whole. Neil Marshall is a horror and gore action director; that’s all this was. Blood and guts every five minutes on the screen to the point of exhaustion. I am a huge fan of the comic series and I always have been. I even have the omnibus for all the books. The comics have never been this graphic and have never needed to be. That is this film’s downfall. How it starts, is in the first three words you hear an F-bomb. Why start that way? It isn’t funny or exciting or even bold. It sets the premise for the next ten minutes as being a massacre on-screen. Unnecessarily so. The entire movie carries that on for way too long. As your first appearance of Hellboy takes the stage, you see that he is searching for a friend, showing his compassion for humanity. Finally, a softness to the film to balance everything out. Nope, he ends up dealing with yet another gruesome death. To which his father is no help in consoling him. Professor Broom is a book worm. A kind humanitarian for all walks of life and shows compassion for any and every creature. That was not Professor Broom in this movie. 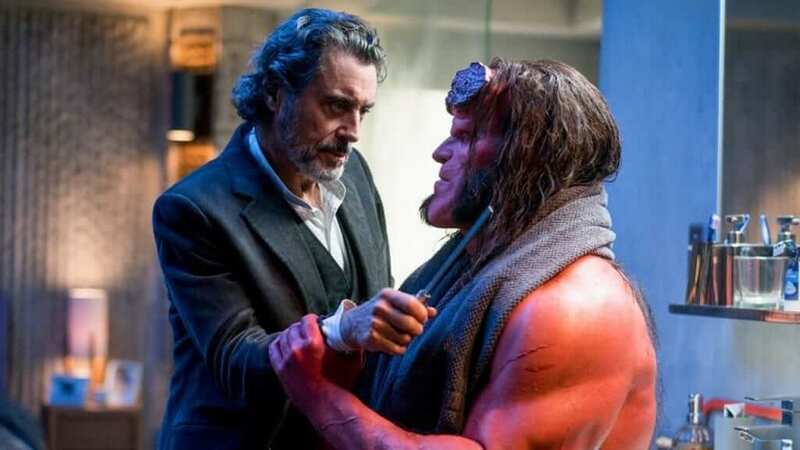 Professor Broom is played by Ian McShane. He’s a great actor and given the script he was given, this is a good performance. But, that isn’t the right persona for the character. McShane played a bloodthirsty killer who assassinated any monsters he came across without question. I don’t understand turning a loving bookworm into a soldier of death. McShane’s performance was four out of five stars as well. However, the character was flawed and poorly written for this project. Interestingly enough, I felt that the new characters who were brought in helped the film. 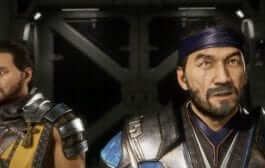 Bringing in Ben Daimio was a new and positive twist to the movie. Daniel Dae Kim plays Ben Daimio. Another great performance by a great actor. The storyline showing another monster battling with his internal demons gives it depth. He starts off challenging Hellboy because, put quite plainly, he’s a monster. 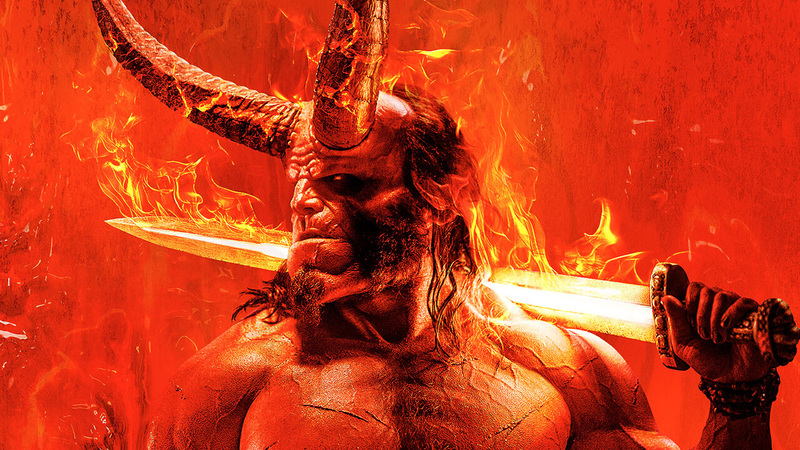 Sidenote: Everyone in most of the film has it out for Hellboy because of that fact. It’s absolutely draining to watch almost an hour of nothing but blood and hatred. Moving on to the infamous Alice. Alice, played by Sasha Lane, is a young girl that was kidnapped by fairies as a baby. Her character brings out a soft spot and almost brother-like persona in Hellboy. A nice change to the atmosphere. She is a psychic and can communicate with the dead, with a couple of other tricks. She is a kind, outgoing, and direct young girl from the looks of it. Her powers assist in more ways than anticipated, but I believe having her on the team helped with round the edges on the characters. Speaking of rounding off the edges, some of the humor in this film tries way too hard and just wasn’t that funny. Pushing for laughs doesn’t make people laugh; it makes them leave. David Harbour and Ian McShane’s characters were both, unfortunately, victims of this lousy writing. If it wasn’t gruesome or aggressive, it was a bad taste in humor and timing. Any comic writer will tell you timing is everything. I am not sure what the writers thought when they wrote this. To be fair, there are a few golden moments in Hellboy. It’s just that the rest of the movie was an utter letdown. 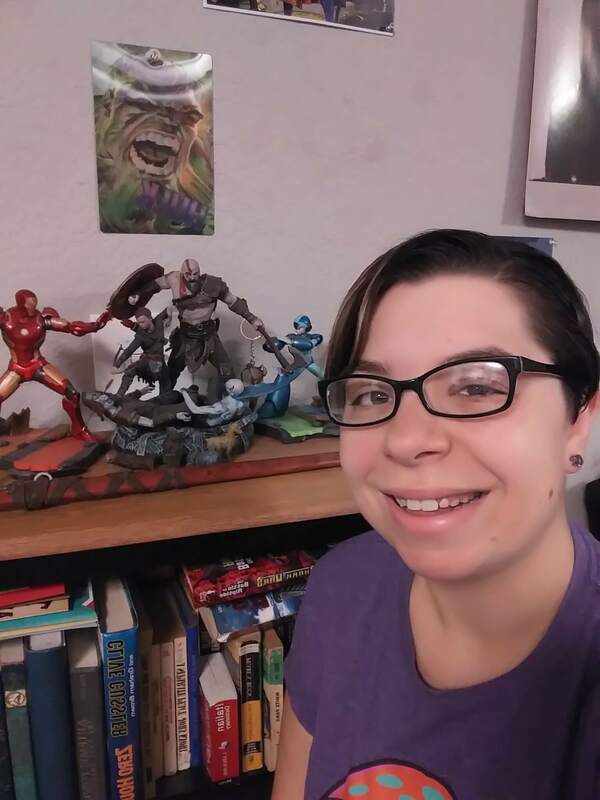 Verdict: I came into the movie with an open mind because Hellboy means a lot to me. Even as a huge Ron Perlman and Guillermo del Toro fan, I wanted to be fair to David Harbour and Neil Marshall. The film had great moments that could have transcended very well but the writing and execution completely killed that. I would not recommend this film as anything more than a late night horror to fall asleep. Hellboy is a great character and one of my favorites. This film was a letdown. If Neil Marshall wanted to make another horror film, he should have turned down this project. 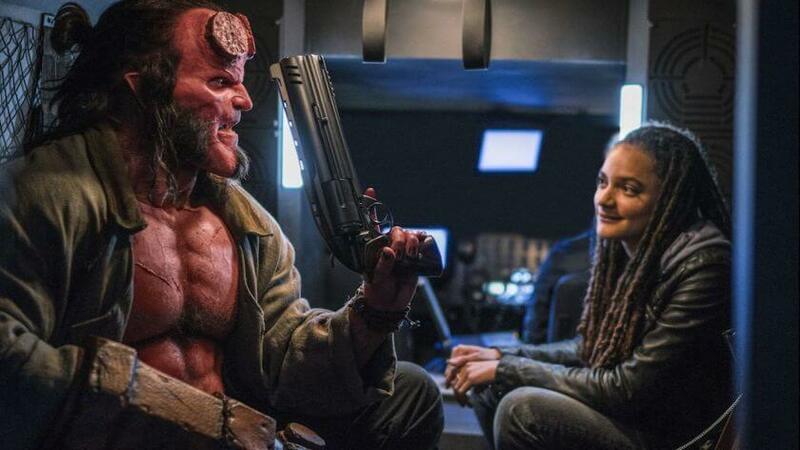 This is not who Hellboy is, and I am sad to see anyone let this project make it to theaters. The actors did very well with what was written and directed. But it’s just not worth the time.